A huge thank you to all of the Six Sided Summoner backers who helped fund this project on Kickstarter! 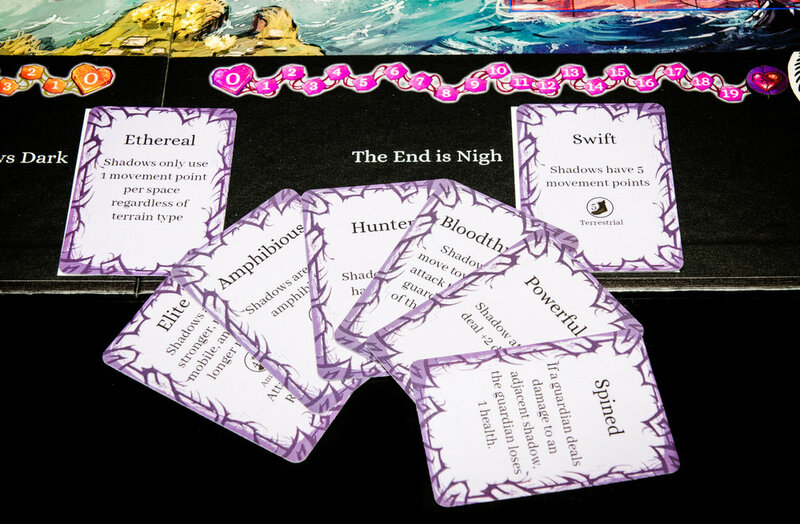 Choose from one of six unique creatures, each with their own set of abilities determined randomly at the beginning of each game. Make the most of a dire situation as you defend the light crystals from waves shadow monsters. The style and structure of popular MOBA video games like Dota. During the game, shadow creatures, using an easy to understand and control AI, move down three lanes towards the players' crystal. If they reach it and deal enough damage, the last light will fade from the world. It is up to you and your teammates to stop them. Each guardian has unique abilities that allow you to attack shadows, manipulate their movements, or trap them and slow them down. Over the course of a game you will be able to use these abilities to manipulate shadows into moving through tower-defense style pathways that you and your allies set up. Do you have the wits and fortitude to keep the light alive? You'll have to play the game to find out! Thanks for checking out the game guys!